It’s that time of year again. The New Year is here and everyone has committed to a set of resolutions that truthfully, may be the same ones that they set out to accomplish last year. For many people, these resolutions include a commitment to drink more water, prepare healthy meals, and work out. Therefore, it is no surprise that gyms are full this time of year. Physical fitness is an essential part of maintaining personal health and that is why many people across the United States join gyms. After all, gyms provide a great environment in which a person who is striving to get fit can not only work out, but also meet other people who have the same goals. However, in addition to helping an individual get fit, a gym visit can also come with other potential consequences that accompany a more muscular physique. According to a 2017 report published by the National Electronic Injury Surveillance System, a faction of the Consumer Product Safety Commission, there were over 526,000 estimated injuries that occurred as the result of exercise and exercise equipment that year. When is the Gym Liable to You For Your Injuries? The gym is responsible when it has been negligent. The gym owes you a duty of care as its patron and when this duty is breached, then you can generally recover. A large part of this has to do with the context in which you were injured. An experienced Miami personal injury attorney will evaluate the circumstances and can advise you on how to proceed with your claim. Does The Fact That I Signed a Waiver Mean I Can’t Recover? Many gyms require anyone who joins to sign a waiver form releasing the gym from any potential liability in the event that you are injured. However, signing such a waiver does not necessarily mean that you will not be able to recover. This will depend largely on the content of the waiver form as well as the circumstances under which you were injured. This is one of the reasons why it is so important that you speak with an experienced personal injury attorney as soon as possible. Read online reviews. 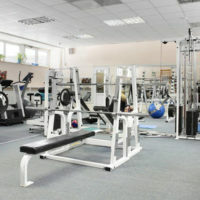 There is an online review for almost very business these days and gyms are no exception. Before you ever enter a facility, you should check online to see whether other people have reported that the gym has unsafe practices. Ask to be given a tour of the facility. Take note of how thorough the tour is and of how the employee responds to your questions. This can offer a preview of how responsive the gym would be if you ever incur an injury. Try it out with a day pass. This is the best way for you to get up close view of how well the equipment and the facility is maintained before you commit to a contract or significant fee. Did You Get More Than You Bargained For With Your Gym Membership? If you have been injured at your gym and you believe your injury happened because of the facility’s negligence, don’t hesitate to reach out for the help you need to obtain the compensation you deserve. The experienced Miami personal injury attorneys at the Pendas Law Firm are experienced in helping people like you recover. Contact us today to schedule a free initial consultation.